Questions? If so, call us at (512) 442-4357. Here at Capital Chiropractic Center we provide the very best in chiropractic care and are very concerned about you as an individual patient. Our chiropractic treatments are gentle and effective. Soon you can be leading a pain-free life, looking forward to a happier and healthier future. The science of chiropractic care has advanced to the point where we are able to perform specific yet gentle adjustments that provide the results you want. Minimal force is used to provide the maximum benefit. This is the way chiropractic should be. If you are disturbed by the popping sounds that occur during an adjustment, we can provide alternative techniques that are devised to a non-forceful adjustment without the popping sounds. Because chiropractic is firmly based on natural and fundamental elements of good health, we can provide a nutritional program tailor-made for you. We are interested in you as a whole person, not just a spine or knee that needs adjusting. 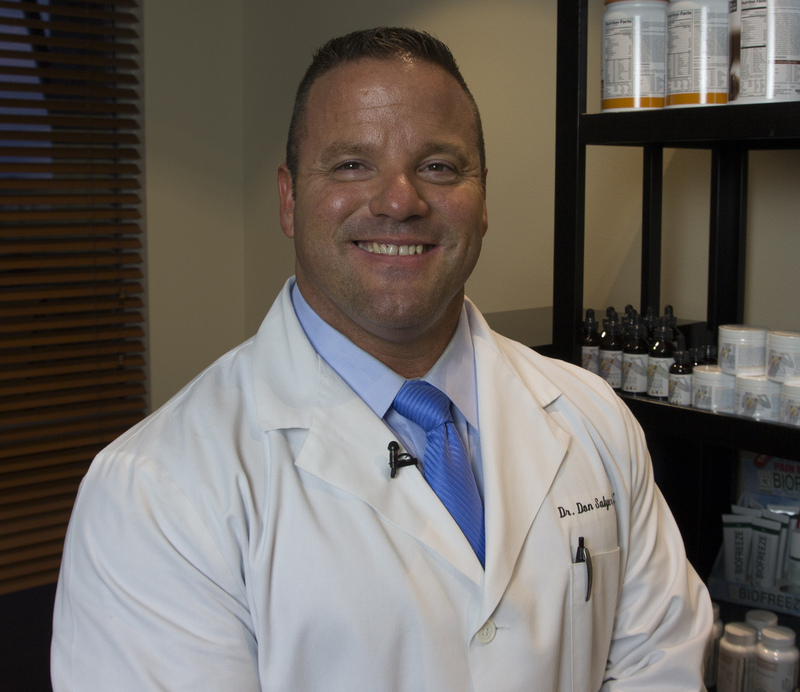 Dr. Don Salyer can provide recommendations on specific nutritional supplements and suggest healthy food choices designed to bring you back to the pinnacle of health. You will find that talking to Dr. Salyer you will be much more motivated to reach your health and fitness goals. For each patient, we create an individualized set of exercises designed specifically to address your unique complaint. The exercises are designed to correct the problem you are experiencing, and to strengthen the muscles in the affected area. The beauty of our exercises is that you can do them in the privacy of your home. Soon you can feel the benefit of the corrections we have identified as necessary for you to become healthy and help your body stay in balance. Personalized Care: To us, you are a person, not a case. When we meet, our goal is to heal you as holistically as possible. Full body health does not come with just a nutritional supplement or a periodic adjustment to keep pain at bay. Patient Education: We provide a system of education that helps you understand the true nature of where your health comes from and how to keep yourself healthy. This understanding is not just limited to you but embraces your entire family, including your children. When you know what it takes to be healthy, you can all lead happier and healthier lives. Massage: Today’s world is filled with stress. Massage helps you to battle the ever increasing levels of stress that you experience. Regular massage can help you to encounter stress without reacting to it, keeping your health intact. Weight Loss: Our weight loss program Don A. Salyer, D.C has been proven to give results, helping you to accelerate your weight loss without feeling hungry or deprived. Our expertise in the field of weight loss and overall fitness is available to you if you need to work toward weight loss and fitness goals. Don’t wait any longer. Your first visit is where we will take your full health history; you will meet with the doctor, and then be given a full battery of tests to determine the severity of your condition. From there, the doctor will create an individualized treatment plan. On your next visit, we will share with you the results of all the tests, explain what is causing your pain and discomfort, and outline a treatment program complete with a time frame and a cost analysis.